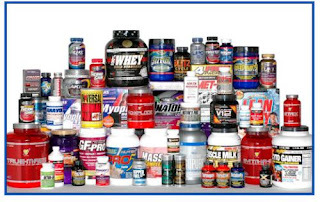 PROVEN - If you want to get frustrated taking supplements, go grab something that is new. My personal experience is that if you jump on the newest hot product you will likely either not see the results you expect or the product will be soon featured in a legal add that goes something like this.. “Are you a insert product name here victim? You may be entitled to compensation. Call the law offices of...." I don't know about you, but I don't have time for all that noise. I need something that other people have used that consistently gets results that helps me achieve my goals without screwing up something else in my body. Something tried and tested. I have enough on my plate, no pun intended, I don't need to be beta testing supplements for a company. COST EFFECTIVE - The fact that a product is proven means there are going to be generics. I don't mind a reputable generic. If the cost difference is not that much greater, I will go with a name brand. I use the law of diminishing returns here. If supplements are not reasonable in price, they are usually not worth the money you are spending. Boutique supplements are almost never worth the money. BEARABLE - If I am going to commit to a regimen of supplements, they have to be bearable. If I have to choke down some rancid concoction everyday, it's not going to last very long in my regimen. A series of dry heaves, while actually a pretty good ab workout, is not something that I am interested in. So with these 3 basic criteria I went hunting for my supplements. In the next upcoming posts I will focus on the supplements that I chose for me, the reasons I chose them and the information I found interesting and helpful about them. Stay tuned. Hey Mike! You are definitely on to a few great tips about supplements! If you'd like, poke around my company's website and check out our supplement line. I think you will find that they meet your criteria. And, 2 things to make them even better.... first is you can use my discount code (SH80403) and get 10% off PLUS, if for ANY reason you don't like them you can return them within 30 days for a refund! They are all made here in the metro-Charlotte area under our strict guidelines. I have taken all of them and love them!! Let me know if you would like any other info! Might wanna add the website, huh? www.tntgetfit.com! The supplements I take are the ones that my diet doesn't adequately provide (due to me having to avoid various foods for medical or allergy reasons and due to "I hate to eat liver" reasons and the dont' eat a lot of nuts reasons, etc). I tend to be low on zinc and magnesium, so I take those. I was low on Vitamin D in my latest labs a few weeks ago, so I take that. I only take protein shakes when I have a lower protein day, otherwise I eat plenty. I take extra C and Quercetin cause of my many allergies. I take R Lipoic Acid cause of my insulin resistance (magnesium is good for this,too, so I do continue to take that, as I have for years). For me, its about what I lack or need to address a medical issue. One good multi and then the above mentioned as needed. Tracking food makes it easy to know what vitmins/minerals are low (or HIGH, for that matter). Happy Monday and a new week for us to get fit! I agree with Princess - I try to take what I am deficient in: D3, B12, Calcium. Omega 3 for heart health. E for my skin. C for immunity. Plus a good multi every other day. I prefer to get everything from my diet, though. Still working on that. Thanks Sara. I will be focused on suppliments in general and not a specific brand in my findings. I am sure the supplements you are associated with are great. I have found something I am happy with right now but may consider trying something different later. Princess, I will be updating the ticker after I wear my compression socks for a solid week and get my water pills. In 2 days of no compression socks or water pills my legs swelled up crazy and in 48 hours added almost 8 pounds in water weight. I am wearing them all this week and taking my water pill weigh in update at the end of the week. Sorry to hear that, M. I remember when I was 299 lbs, my ankles would swell like crazy. Hated that. The whole legs swelling must be really awful. Hope the excess fluid comes off quicky. Hello. I am new to your blog and just wanted to say hello! I think you are doing great! I am down about 65 lbs and hoping to get the last bit off soon. I look forward to following your journey. I have been so confused by supplements in the past. like you said, there is an ocean of stuff out there. I look forward to hear what you have to say! I say take the supplements that work for you! I had some trial and error with supplements and multi-vitamins when I first started using them. I'm looking forward to hearing what you have to say about the different supplements that you try.